Veteran Discount: 10% off Franchise Fee & Add'tl Training Support in Hometown. 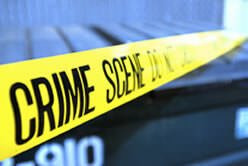 As the first and only crime and trauma scene clean-up franchise, Bio - One Inc. is in high demand and ready to expand! As the leader in the bio-recovery industry, we have marketing compaigns that are industry specific, innovative and proven sucessful for years now. These steps have been established and proven to maximize profits while minimizing expense. As a Bio-One Franchisee you'll have the opportunity to make a difference in peoples lives during their greatest times of need. The umlimited potential is worth it alone, but the satisfaction of helping others and making a positive difference in peoples lives is priceless. Breaking into this industry on your own is incredibly difficult. Bio-One has exsisting referral networks along with top tear marketing plans and vendor relationships to to ensure your success. Bio-One will provide you with the proper training and ongoing support so that you can avoid the additional time and capital it would take going at this alone. Our ideal candidate needs to have the drive to really want to succeed. They must have compassion for others and be willing to learn in a constant evolving industry. Someone that has worked for a restoration company or has a civil service background such as police, fire, EMT or paramedic. We also like people that might have a background in construction or with a contractor's license. They must have a minimum of $50,000 liquid capital, and be able to invest up to $75,000 with a net worth of $150,000. Lastly, they have to be willing to do this full time; no part time owners here. Are you looking to build a business that can change your life, in a recession proof industry, and is more rewarding than purely income alone? Do you want to have the satisfied feeling that comes from helping others while keeping your community safe? Do you want to be in business for yourself, but not by yourself? Do you want to own an exciting company where no two days are the same? If you answered YES to all these questions, then it is the right time for you and this is the right investment to make. Please request information today to learn more about Bio-One Inc.! Bio-One Inc is currently accepting inquiries from the following states: Alabama, Alaska, Arizona, Arkansas, Colorado, Connecticut, Delaware, Florida, Georgia, Idaho, Iowa, Kansas, Kentucky, Louisiana, Maine, Massachusetts, Mississippi, Missouri, Montana, Nebraska, Nevada, New Hampshire, New Jersey, New Mexico, North Carolina, Ohio, Oklahoma, Oregon, Pennsylvania, South Carolina, Tennessee, Texas, Utah, Vermont, Washington, D.C., West Virginia, Wyoming. Interested parties should have at least $80,000 in liquid capital to invest.